Cambodia’s Supreme Court dissolved the country’s main opposition party and banned more than 100 of its politicians from office for five years on Thursday, in a ruling blasted by a rights groups as the “death” of the nation’s democracy. The verdict was widely expected of a justice system warped by the influence of premier Hun Sen, whose is accused of ruthlessly targeting rivals ahead of 2018 polls. 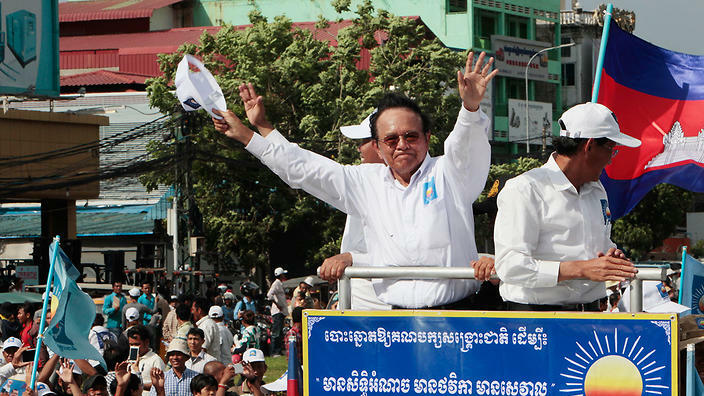 It nevertheless delivers a crushing blow to the Cambodia National Rescue Party (CNRP) — a party that has fought tirelessly to break the authoritarian leader’s 32-year grip on power. The court “decides to dissolve the CNRP and ban 118 leaders… from politics for five years starting from the date of the verdict,” said Judge Dith Munty, who is himself a member of Hun Sen’s ruling CPP party. The judge said the CNRP, by not sending any lawyers to the trial, had effectively confessed to the government-levied accusation of conspiring with the US and other foreign actors to plot a revolution. The CNRP and Washington have rejected those charges as bogus, with the main evidence from the government being a speech from the party’s president discussing US help to build a democracy-movement in Cambodia. Rights groups said the verdict stripped next year’s election of any credibility. “This is the death of democracy in Cambodia,” said Phil Robertson from Human Rights Watch, calling on for foreign partners to suspend any assistance for the 2018 poll. “There was never any doubt about the verdict in this case, especially when one considers that the chief justice of the Supreme Court is a Hun Sen loyalist and party apparatchik who sits on the CPP central committee,” he added. The verdict is the culmination of a methodical smothering of dissent in Cambodia that began after the CNRP nearly unseated Hun Sen in the last national election in 2013, rattling the premier. The crackdown accelerated dramatically in September when CNRP leader Kem Sokha was detained and charged with treason over the same accusations of plotting a revolution. His arrest sent more than half of the party’s 55 lawmakers fleeing into exile out of fear. Hun Sen, who ultimately defected from the Khmer Rouge and helped drive the regime from power, has a long history of undercutting his rivals through well-timed crackdowns and dubious court cases. But observers say the current climate of repression is harsher and longer-lasting than previous clampdowns, with Hun Sen foregoing even the pretence of leading a free democracy. In addition to assaults against the CNRP, his government has in recent months shut down a series of outspoken NGOs and independent news outlets — including the respected Cambodia Daily. Analysts say the premier has been emboldened by financial backing from Beijing, which has lavished the poor country with an investment that has made it less dependent on aid from Western democracies.